Go visit this Great Sports Bar by Selecting the Link to the Left "Sign NDA." Sports Bar & Restaurant in Butte County. This well-established Sports Bar & Restaurant is located in on the busy street in a good area of Midtown. Beautiful Northern California city where you can continue current concept or bring your concept into play! This place has everything you need with a large commercial kitchen, Beautiful upscale Wood Bar and Large Dining Room. There is a separate private Dining Area for meetings and small parties and events. Do you have a great concept, but the space is too small or lacks amenities...check this place out...it may have everything you need for a new or second location! 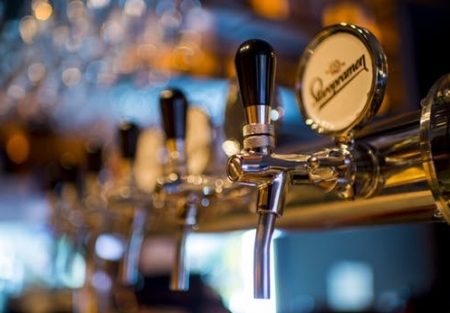 Potential: This sports bar is convertible to an upscale Gastro Brew Pub with your own small Brewery...infrastructure & room is im place...do your own due diligence...but we think you just add the equipment! Kitchen: Fully Equipped Kitchen with 10 Burner Stove, Flat Grill, Char Grill, Hobart, Ice Machine, Fryers, Reach in Freezer, 2 Walk in Coolers - one for Food & one for Beer Kegs, projector & flat TV’s, 2 station POS...and more! Seating for 130 plus a Large Outdoor Patio with cover. Reason for Selling: Owner has other interests. Please visit SellingRestaurants.com to get the name and location as well as photos of this listing.